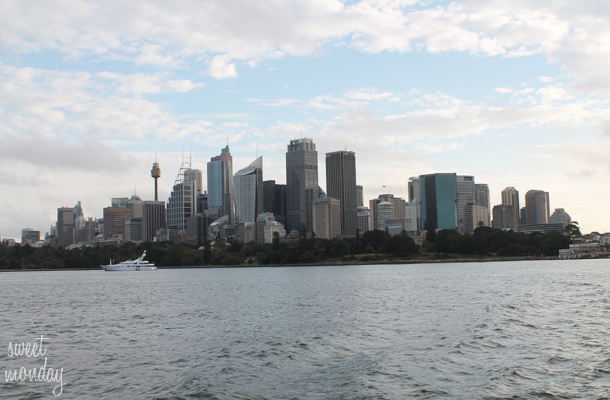 The final part of our trip saw us catch a flight back to Sydney from Melbourne, a train to Circular Quay and then a ferry to Manly where we spent 2 nights. 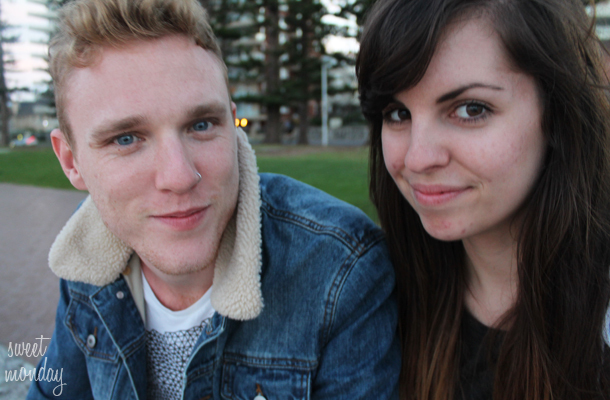 I was advised by many of you to visit Manly and I’m so glad we did. Situated just north of Sydney and about a 15min ferry ride away is the pretty little town of Manly with its stunning beach, tasty seafood restaurants and many surfing shops! 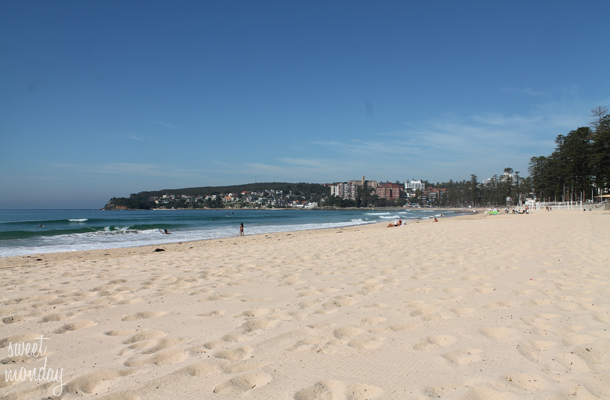 The following day we had planned to take a trip up to Palm beach but the weather was so blistering hot that I couldn’t resist a day of sunbathing on Manly beach. 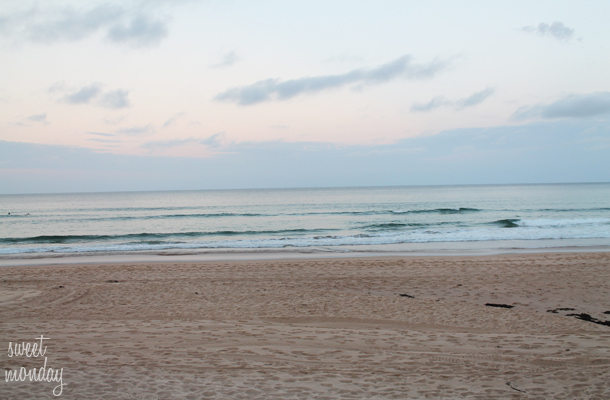 Because it’s Autumn time in Sydney the beach was deserted apart from the odd jogger. We really had the place to ourselves. Although the weather was hot the sea certainly wasn’t!! We took a little paddle but just getting our feet wet was cold enough. After plenty of sunbathing we stopped off at a small thai restaurant for lunch called Mortar and Pestle. 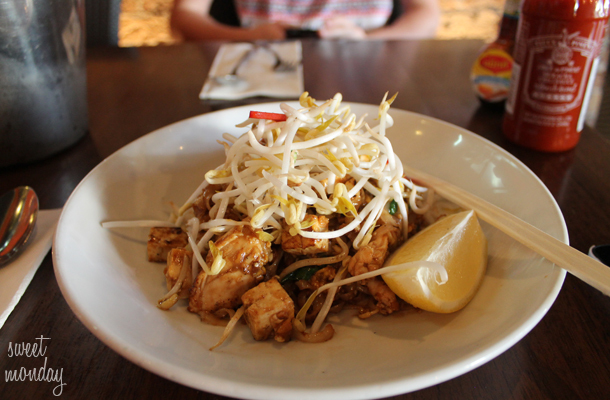 They offered a special $10 lunch menu and I opted for the classic dish Pad Thai which is technically Vietnamese. It was really tasty and we also shared a Corona bucket for just $20 where you get 4 Corona’s which isn’t cheap for UK prices but certainly is for Australia! 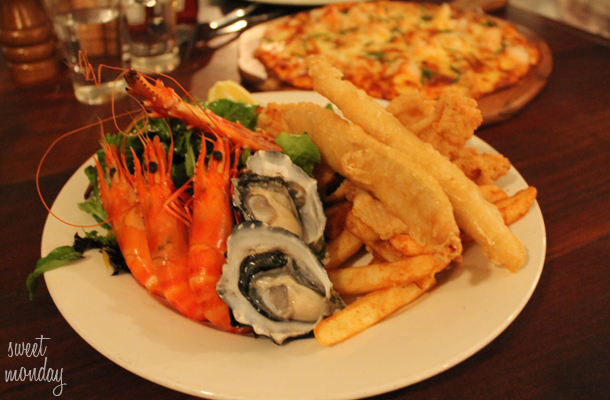 Manly was my first experience of proper seafood. We had this platter above and I have to say I loved everything apart from the oysters!! I’ve never tried them before and I couldn’t even swallow it 🙁 I’m disappointed with myself but oysters are definitely not for me. 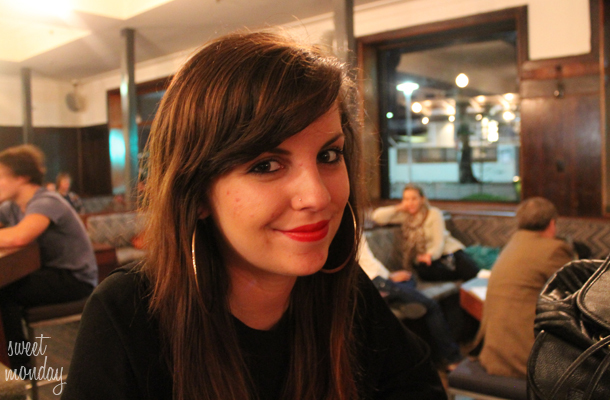 We also went for a prawn pizza which in hindsight was probably a bad idea, we were totally sick of seafood afterwards! Haha. Back in Sydney for our final 2 nights of the trip we stayed at the Springfield Lodge in Kings Cross. It’s a really great hotel, lovely inside, super cheap and has a nice restaurant at the front of the building. 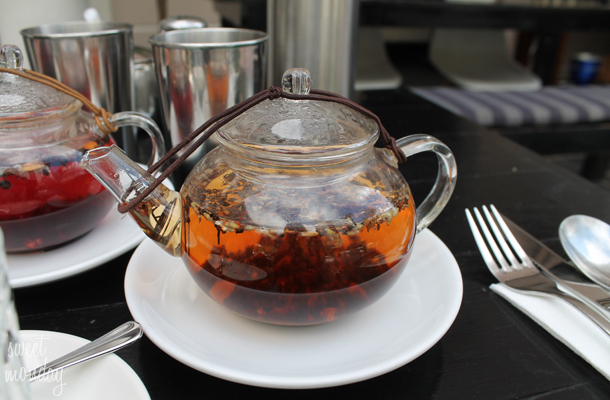 We had a fruit tea there with lunch one day and I couldn’t resist taking a photo of the cute tea pot!! 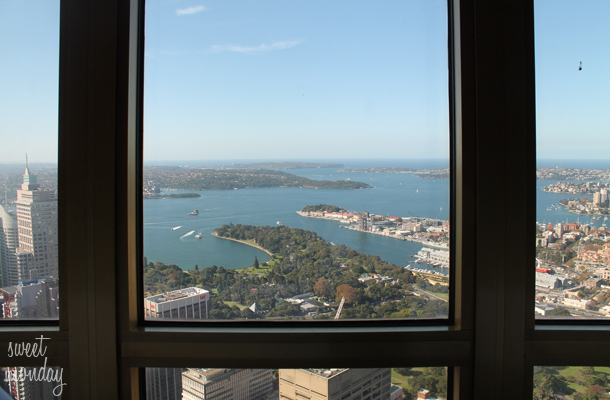 On our last day we decided to splash out and have lunch at the top of the Sky Tower in Sydney’s centre. It costs around $20 for a ticket to the top of the Sky Tower anyway, whereas you can eat lunch in the week at the 360 restaurant from just $30 so we did this instead and I would recommend it to anyway. It’s an experience you will never forget!! 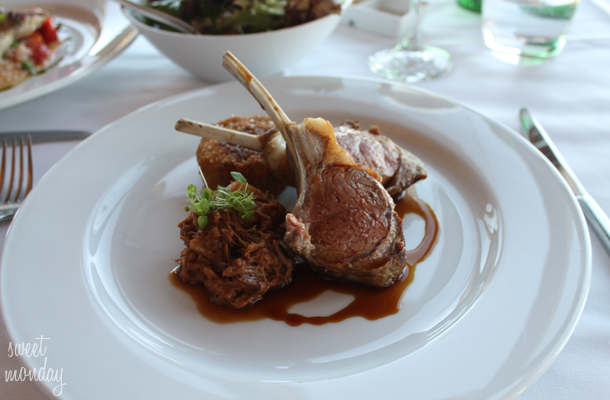 It’s a revolving restaurant which takes about an hour to make the full circle, in which time you can happily enjoy two courses from their a la carte menu. 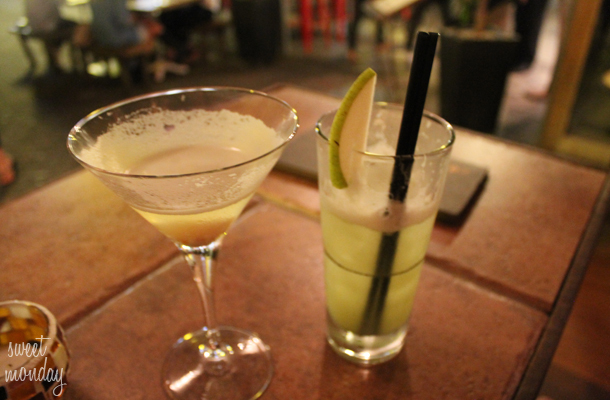 This cost us $50 (about £35) each and also included a glass of house wine. Considering the location, the view, the incredible food, the overall experience this was by far the best bargain of the entire trip and the best way to end such a lovely holiday. The food really is exquisite, you won’t be disappointed by the portion sizes afterward either, we were surprisingly so full! 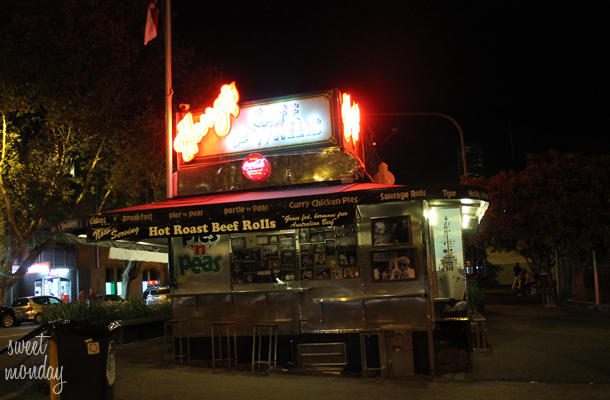 And finally you cannot visit Sydney and not go to Harry’s cafe de wheels!! This little gem is hidden in Woolloomooloo (best name for a place ever?!). We literally stumbled upon it as it was on our walk into the centre, we later found out it’s world famous and is adorned with photos of celebrities that have eaten there over the last 75years!! They’re best known for their delicious pies and for just £5 you can get a pie of your choice topped with creamy mash, mushy peas and gravy. 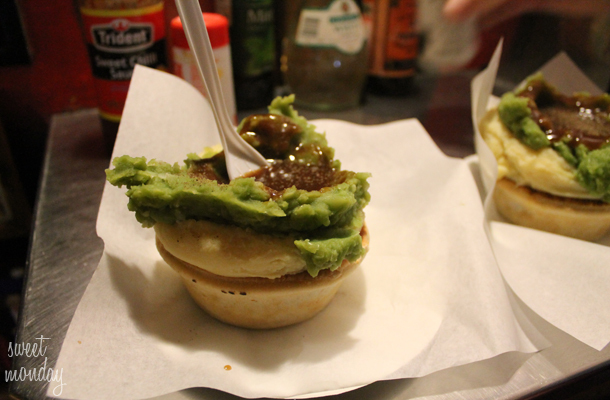 All pies should come piled high with mash and peas on top, it’s a genius idea!